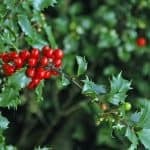 Evergreen shrubs provide color in the dull winter landscape with their lovely green foliage. 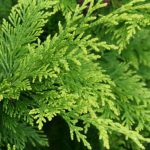 Junipers, globe spruce, and arborvitae have been popular as foundation plantings for many years One of the most popular evergreen shrubs in recent times is the boxwood. 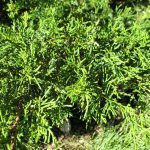 Easily sheared, evergreen shrubs can be grown in their natural form or a more formal style.